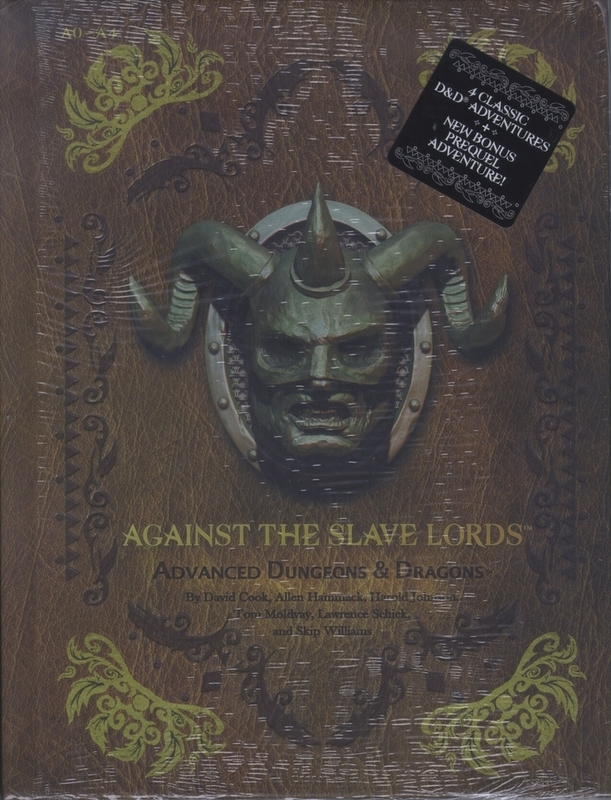 Remember when WotC was reprinting the AD&D 1e core books to generate some income between the the downfall of 4e and the rise of 5e? A0-A4: Against the Slave Lords (1e) was released around the same time. The addition of A0: Danger at Darkshelf Quarry allows one to treat the A series as a mini campaign and was a nice addition. A1 was the first module I ever owned and it holds a special part in my gamer's heart. The scans have always been a mystery to me. A friend of mine ran them in Pathfinder a couple years ago, way too much railroad, not enough adventure. I'd like to see a cheaper PDF (3 or 4 bucks maybe) with just the A0 material. I already have the A1-4 stuff. Perhaps B1-Castle Zenopus is more your financial speed. It's free and over on vaults of pandius. There's also an A0.5 in Dungeon #221 and an A5 in Dungeon #215. I was so close to buying hard copies of these modules from the local used bookstore this last weekend. I think the total for all of them would've amounted to about $30, and they weren't even in very good condition. I would've been reaaaaally torqued to see this news a few days later.